Apollo Practice Management software maximizes your productivity and efficiency by adopting an integrated seamless workflow approach. 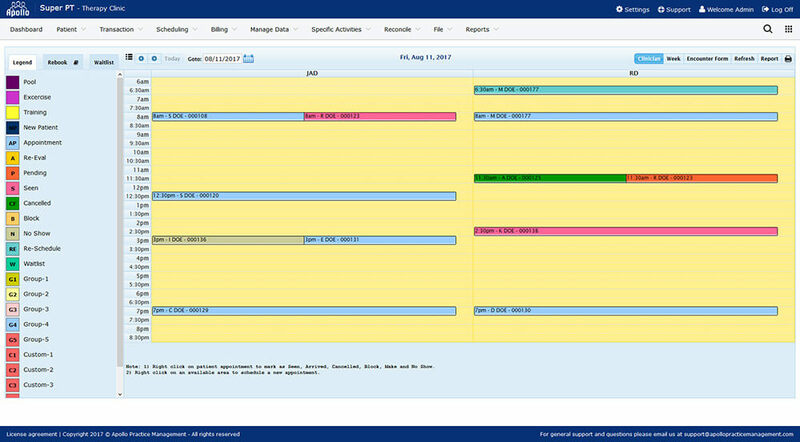 This eliminates appointment scheduling delays caused by manual schedule registers or standalone desktop scheduling software. 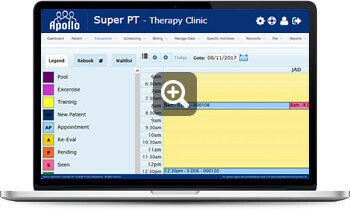 SAAS functionality allows your staff to update the schedules 24X7 from any mobile devices irrespective of locations. A common problem faced by practitioners today is lost or misplaced documents and records. 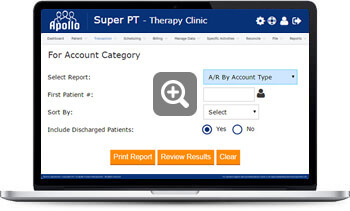 Our physical therapy management software ensures smooth sailing for all the documentation required in your day-to-day workflow by generating electronic documents that are easily stored, synced and backed up. This gives you easy access to all files pertaining to one patient in a simple, relevant platform, saving you time and increasing your productivity. Apollo Practice Management has a comprehensive medical billing feature that puts you in complete control of all your billing requirements. 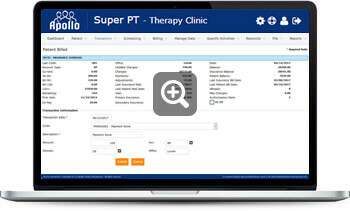 With Apollo physical therapy management software, you can eliminate the cost of maintaining traditional medical billing processes and resources in order to maximize profits. From private bills, insurance claims, bulk billing and employee payments, all invoice requirements can be created and dispatched directly to the patient seamlessly. Apollo Practice Management enables you to clearly code each bill to accurately reflect the purpose and minimize confusion and financial losses. When running a practice single-handedly or coordinating a large staff with multiple practitioners it is always beneficial to understand where you are at and how things are running. 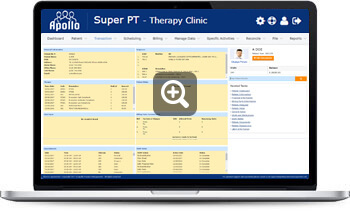 To help optimize real-time information that tracks business growth and or to facilitate intelligent decision making Apollo Practice Management software provides access to reports for every aspect of your practice. These reports can be accessed, integrated and developed through the SAAS platform to fulfil any strategy, or effective marketing channel you devise, with a touch of the screen or click of the mouse.